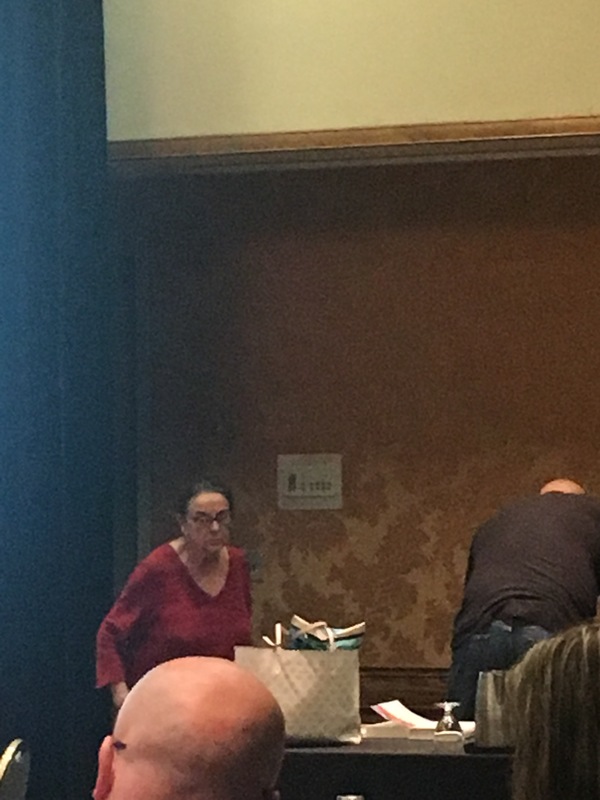 Several posts ago, I shared my recent professional development experiences which included three conference sessions with Anita Archer. And in an earlier post, I shared our school focus on the use of summaries. We believe summaries have the ability to help students process and retain information and have had several conversations around how best to support students in the process of developing this habit. So I was very happy when Dr. Archer in her Short Writing Often NOT Just Long Writing Seldom session echoed our thinking about the use of summaries and shared several writing frames to be used as scaffolds. In this post, as promised, I will pursue the use of the one of the writing frames shared by by Dr. Archer. As a reminder, here is the information provided in the 3rd Grade Math Performance Task. And here is the question I want to answer using a writing frame. This morning in our late start meeting, we discussed the fine line between an explanation and a summary. Our conclusion…an explanation of a problem-solving process can qualify as a summary…especially in mathematics. So for this question I decided to use the Explanation writing frame provided by Dr. Archer. There are a number of reasons why …. As you can see, this frame is not a perfect fit to the writing prompt. However, it is my conjecture, that students who are experienced with the use of these prompts will have developed a schema around the type of questions being asked and begin with the best frame they have and them make adaptations from there. I changed the word reasons to ways, and I proceeded from there. I captured my thinking in this video. Here is the result. There is still room for improvement, but I like that the frame provided a good first draft. What avenues the writer can pursue next seem endless, but no longer overwhelming. I cannot wait to see what the students do. 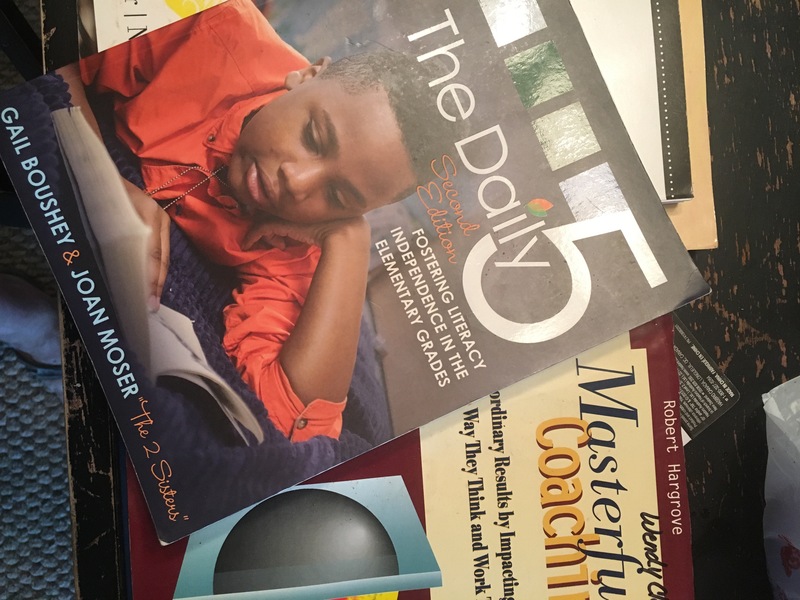 I am a professional development junkie. This month has provided me with an abundance of PD binging. And Duh duh duh duh duh I’m loving it. What follows are snippets from my binge. I started the month participating in the third of a series of English Language Learners trainings provided by Education Northwest. How has our work impacted your craft? I notice the use of the word apprentice. I look for language in action. Big take away: Language is a tool we use to act in the world. Passion in content, what in the content are you passionate about? Within my profession what am I passionate about? You don’t have to have an assignment from a teacher to learn. Life changing impact! Outside of my profession what are you passionate about? Immerse yourself in the moments. When I am doing whatever I do am I doing just that? Pirate teachers have a rapport with students and colleagues. They build relationships. Relationships of influence. This is a no meanness zone. 1 minute of informal interaction with a student is worth 10 hours of instructional time. Pirate teachers also ask and analyze. Ask because questions are the key to creativity. Transformation …. you can’t be good you have got be remarkable. If they didn’t have to be there would you be teaching to an empty room? Do you have any lessons you could sell tickets for? Finally, pirate teachers engage. Dave Burgess definitely delivered on engagement. Now I am at the ORTII conference. 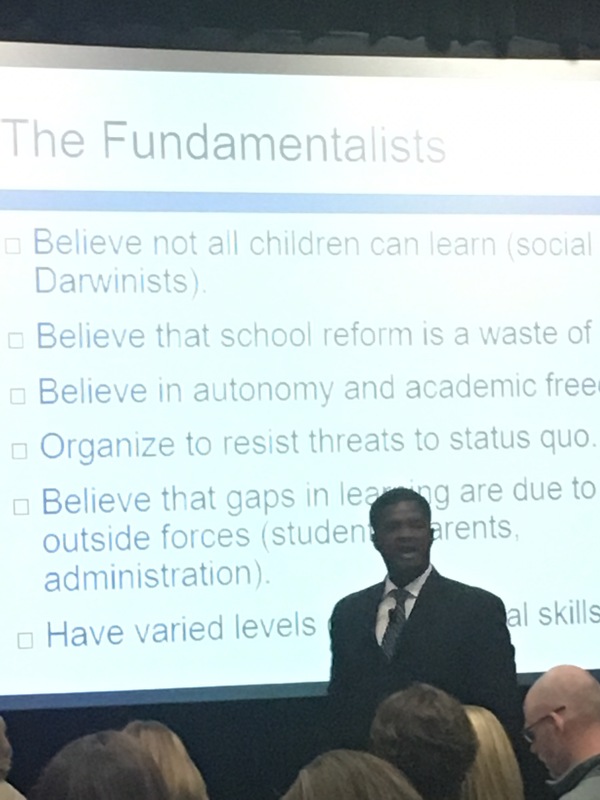 I came here thinking I would learn strategies and skills, but the keynote address by Anthony Muhammad changed my focus. I am now thinking about culture. Culture = soil and technical innovation = seeds. We need a fertile soil. Prior to this conference, I was an Anita Archer virgin. I heard I would love her. I heard she was the best. She did not disappoint and caused me to rethink some of my deeply held beliefs (i.e., beliefs about spelling and I do, we do, you do). However, she made us put away our phones so I was not able to capture my thoughts here. I will have to report back at a later date. So are have they reached teacher crush status? The verdict is still out on that one. I still need to try things out and process. Again, I will have to report back. Our focus this year has been summarizing. We have placed additional emphasis on using summaries to increase student learning in mathematics. Today was our instructional rounds. Administrators and coaches from throughout the district gathered at our school to observe in the classrooms and collect data related to 5 steps of summarizing. These steps are: comprehension, chunking, compacting, conceptualizing, and connecting. I have struggled with the idea of summarizing in mathematics. Not because I don’t think it is valuable, but because I am not sure what it looks like. Today brought some clarity…I think. Parts of mathematics …the algorithms, conditional statements, and formulas, etc…. are summaries. They succinctly describe how to solve problems and define relationships. So we teachers need to consider what and how we are asking students to write summaries. Traditionally, we have made it easy on our students. We have summarized the summaries, if you will. We have explicitly taught the skill first then added the context. If I were to change one thing about my past experience teaching mathematics, I would change this. Instead of starting a lesson with a lecture, I would start with a task. I would have the students then summarize their own thinking around the task. Then collectively we would summarize a strategy related to a task. And then, I would share the common algorithm or compare class thinking to common theorems or definitions. If/when I asked my students to summarize around a standard algorithm, I would expect the summary to actually add back in the extra details. Thus summary does not equal less words…especially in mathematics. And the five steps of mathematical summary are more like an escalator in my mind. It is difficult to distinguish where one step ends and the other begins. You can slide right in to the next level without realizing it. For the sake of clarification though, this is how a see a summary of mathematical problem solving within the 5 step framework. comprehension: The student reads and understands the problem. This might call for an explanation of vocabulary. It might also prompt further questioning on the part of the student. chunking: Students generate a list of smaller steps or tasks. Based on the questions they generated in the previous step. compacting: Students begin to answer questions and simplify the process. They eliminate unnecessary steps in the name of efficiency. They use variables and generate a general process for solving similar problems. conceptualizing: Students use examples or models to verify and illustrate their process. connect: Students write a statement to formalize the problem solving process. In connection to this, the student explains why the process works. So in summary, mathematics is about problem solving. When we create algorithms or make conjectures and defend these with a valid but succinct argument, we are in effect summarizing our problem solving practice. Update: In a moment of reflectioon I wrote the following at an ELL training as I considered language as action. A summary is stripped of all the hard work (language and mental processing) that comes with producing it! To give a summary outside of context is meaningless. To not ask students to engage in summarizing (writing), is a disservice. It renders the content meaningless.